Apologies again for not posting but life keeps getting in the way. I'm out in the world again working lots of freelance jobs and haven't had a chance, or taken time, to work on my new book, Catch A Falling Star. For that I need to apologize to myself. I just finished the cover story on Art Basel for Where Magazine. 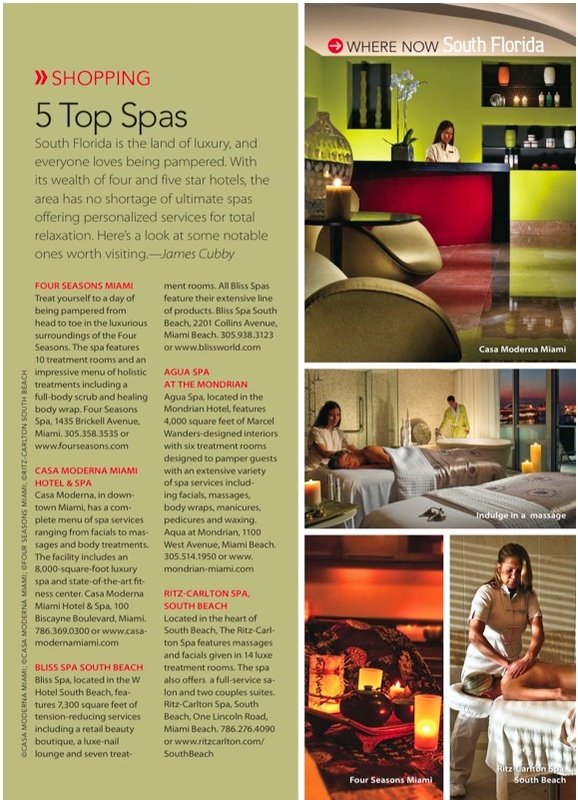 Next I'm writing Where's cover story on the South Beach Wine & Food Festival. I'm also starting a new business to help supplement my income - living in Miami isn't cheap. It's a Freelance Assistant service where I, or one of my associates, will work as a freelance assistant doing everything from answering phones to editing, marketing your business to writing press releases. It's a job where the client books a freelance assistant for one or multiple days with the rate being based on skills and hours needed. So far it's keeping me busier than I've ever been. Anyone interested can contact me at cubbysobe@hotmail.com. After a long day working it's great to be pampered. 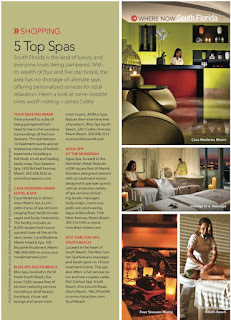 Here's a mini-feature I wrote for the recent issue of Where South Florida on spas. Enjoy.